Yesterday OSHA announced and today OSHA officially published its Final Rule amending its Electronic Recordkeeping Rule. After years of advocacy for change to (or to rescind) OSHA’s controversial Obama-era rule to “Improve Tracking of Workplace Injuries and Illnesses” (aka the E-Recordkeeping Rule), and a transition to the de-regulatory platform of the Trump Administration, OSHA has finally approved changes (hopefully just the first step) to pare down the E-Recordkeeping Rule. On July 30, 2018, OSHA announced a Notice of Proposed Rulemaking to amend the E-Recordkeeping Rule. 83 Fed. Reg. 36494 (July 30, 2018). The proposed Rule included only one significant change to the current regulation. Specifically, the proposal sought to rescind the requirement for the largest employers — those with individual establishments with 250 or more employees — to annually submit to OSHA’s online web portal the data from their 300 logs and 301 detailed incident reports of recorded injuries and illnesses. The proposal left intact the requirement for these large employers and many more smaller employers to annually submit 300A annual summary data. Perhaps even more concerning to employers than leaving in place a portion of the electronic data submission requirements, the final rule does not disturb in any manner the controversial and duplicative “anti-retaliation” provisions, or the interpretations of those provisions included in the Preamble to the 2016 Final Rule. These are the provisions that endeavored to restrict employers’ authority to discipline employees for late injury reporting or for safety violations, as well as limit employer’s ability to perform post-incident drug testing and to provide safety incentives. For more information about these elements of the E-Recordkeeping Rule, check out our previous blog article regarding the E-Recordkeeping Anti-Retaliation provisions. OSHA’s controversial Electronic Recordkeeping and Anti-Retaliation Rule was promulgated in May 2016. Despite a barrage of negative comments during the rulemaking, multiple enforcement deferrals, and two legal challenges that have been stayed pending the Trump Administration’s re-evaluation of the Rule, all elements of the rule are currently in effect. Indeed, last December, hundreds of thousands of workplaces, for the first time, submitted their injury and illness recordkeeping data to OSHA through its Injury Tracking Application (ITA) web portal. The Trump Administration is ready to announce its future plans for the E-Recordkeeping Rule, signaling that it will publish a Notice of Proposed Rulemaking to revise (or potentially rescind) the Rule later this month. However, the extent of the revisions to the rule remain unknown, and the timing is key as we approach July 1, 2018, the deadline for the second round of injury data submissions. OSHA’s Final Rule to “Improve Tracking of Workplace Injuries and Illnesses” (aka the E-Recordkeeping Rule) requires employers of certain sizes that fall into certain categories to proactively submit electronic injury and illnesses data to OSHA through its new web portal – the “Injury Tracking Application.” The new rule dramatically changes the responsibilities and impacts of OSHA’s long-standing injury and illness recordkeeping program. Historically, unless OSHA opened an enforcement inspection at an employer’s workplace or the Bureau of Labor Statistics requested an employer to participate in its annual injury data survey, employers’ OSHA 300 Logs and related forms remained strictly in-house. Employers kept the data and their OSHA logs in their HR or Safety Department office, posted them internally for employees to view for a couple of months, used the data themselves to make decisions about how to reduce risk of injury and illness in their workplaces, and then stored the records in a cabinet or desk drawer for five years. Now, OSHA’s new rule requires hundreds of thousands of employers to proactively submit these historically private records to OSHA, which in turn may publish the data online for all the world to see. 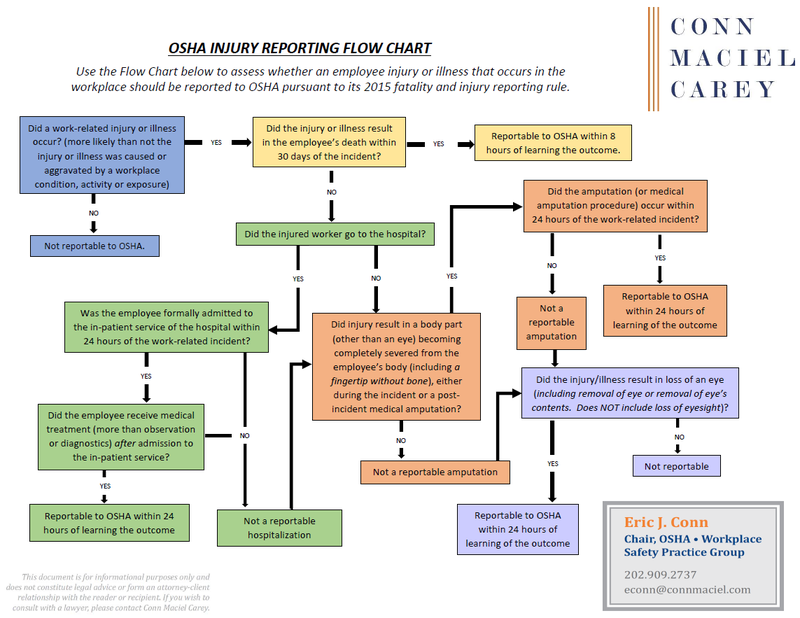 All establishments with 250 or more employees (in industries not exempt from keeping injury logs) must submit to OSHA annually their injury and illness data from their OSHA 300 Logs, 301 Incident Reports, and 300A Annual Summaries. Establishments with 20-249 employees in certain so-called “high hazard industries” must each year submit information from their 300A Annual Summaries only. All of the submissions to OSHA must be made electronically, via a purportedly secure website. OSHA stated its original intent was to publish the data online, likely in a manner that is sortable, searchable, filterable, and as embarrassing to employers as possible. Note however, in this first year of the rule, for the upcoming data submission of 2016 injury data to be made in calendar year 2017, all employers, irrespective of size, are only required to submit 300A Annual Summary data.